Sweet sugar free lollies. Assorted fruit flavors include cherry, orange, strawberry, lemon, and grape. 3.5 inches long including stick. Pop diameter is 1 inch. Individually wrapped. 30 count bag. A wonderful treat for anyone looking to avoid sugar in their diet. 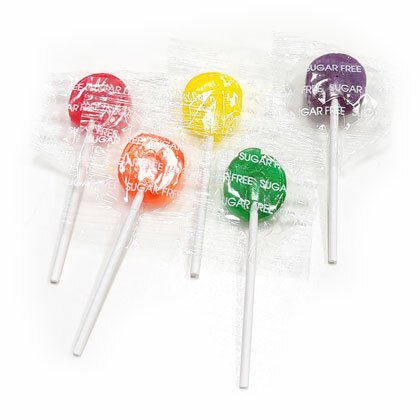 Delicious lollipops at a great price. Easy to use site and quick delivery.